Whenever I try a new restaurant, I ask myself a few questions: Is the food good or decent? Is the pricing reasonable? Will I come back? Ginza Tendon Itsuki, which offers tendon, or tempura served on a bowl of rice and drizzled with a sweet and sticky soya sauce, ticks those boxes. Firstly, a meal here is value for money. You pay $13.90++ for a bowl of Special Tendon - two pieces of chicken breast, two prawns, a whole fresh shiitake mushroom, baby corn, lady's finger and a runny egg, all coated in tempura batter and fried to a crisp, and served with hot rice. The other option is Vegetable Tendon ($12.90++), which comes with eight pieces of vegetable tempura. Both tendon bowls are part of a set that includes a serving of chawanmushi and a bowl of miso soup. The unlimited servings of pickled vegetables are a bonus. The counter-style eatery, which has a few booth seats, may not offer the most refined tempura in town, but it serves one of the cheapest. Food - decently good. Price - bang for your buck. Will I dine here again? For sure. Homemade Thai coconut ice cream ($3 a scoop, $4 for a double scoop). The sweltering heat of late has me on the prowl for food that can help me beat the heat. Keeping cool keeps me calm. 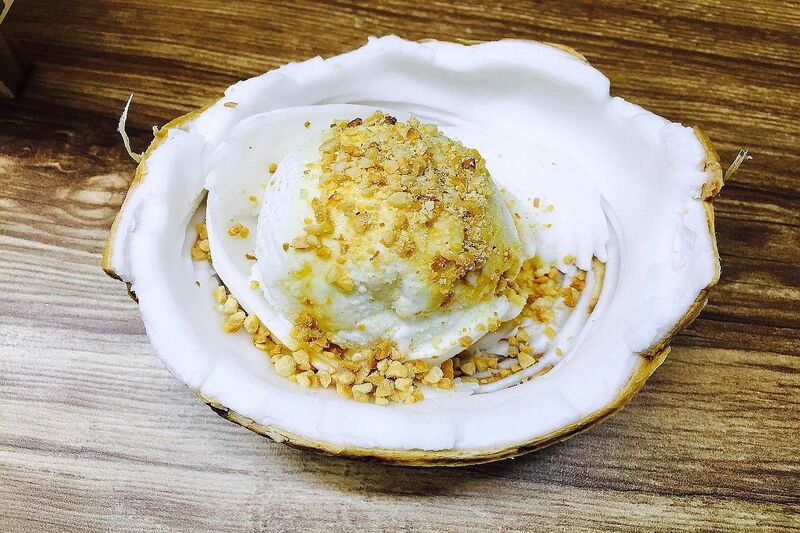 A scoop of cold, creamy Thai coconut ice cream from Koko Ice Cream, a hawker stall in Amoy Street Food Centre, is a great and affordable way to cool down after a meal. The housemade ice cream (left, $3 a scoop, $4 for a double scoop) is served in a Thai coconut shell. Toppings, which range from gula melaka sauce to ground peanuts to cornflakes, are free. I like that plenty of thought has gone into the way the ice cream is served here. The coconut flesh has already been scraped out of the shell, saving the diner time and effort, while the cup of free coconut water which comes with each serving helps cleanse and refresh the palate. Oden with duck consomme from Wagokoro. Japanese chef-restaurateur Hide Yamamoto, who runs two eateries at Marina Bay Sands, has opened his third restaurant in Singapore. At Wagokoro, a Kappo restaurant - a multi-course type of Japanese cuisine that originates from Kyoto - ingredients are cut, prepped and cooked in front of diners. The seasonal menu usually includes a stewed item, a grilled item and a fried item, among others. When I dined there earlier this month, the meal, an eight-course dinner ($158), included a chilled and intense-flavoured Hokkaido corn soup; delicious oden with duck consomme (photo); and housemade chewy soba noodles. 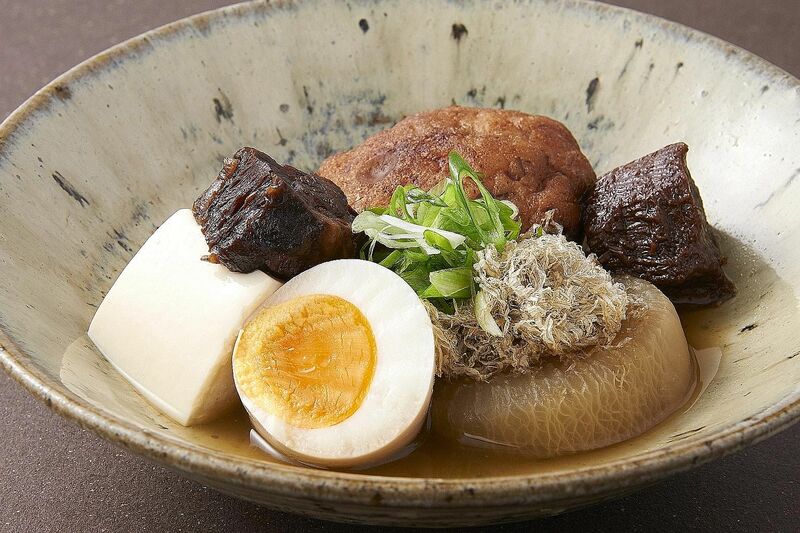 For lunch, opt for a la carte items such as tempura soba or tendon ($28 each). An omakase lunch is priced at $80 a person. Breakfast Tostada ($20) from Croute Bakery Cafe. Croute's location at Valley Point, a shopping arcade and office building in River Valley Road, is a bit tucked away. But the cafe and bakery is worth seeking out on the weekend. Plus, you can pick up groceries from the supermarket while you're there too. For me, Croute is a place where I can relax and ease into the weekend over a meal and a cuppa. I also like that it is welcoming and doesn't have that pretentious hipster vibe. 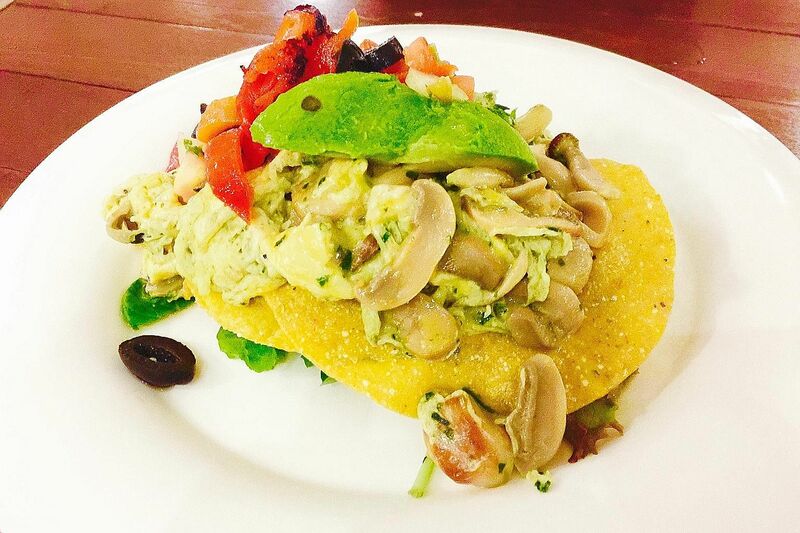 If you want a hearty start to the day, tuck into the Breakfast Tostada (photo, $20) - a choice of mushrooms, bacon or sausage, served with delicious herb scrambled eggs, black olives, avocado and salsa on a crispy tostada. The cafe also serves dishes such as pancakes ($12) and a Philly steak sandwich with mushrooms, sauteed onions, yakiniku sauce and mozzarella on sourdough ($16). There's a good selection of sandwiches, all served on housemade breads from multi-grain to ciabatta; and dips, as well as pastas and even rice dishes such as chirashi and katsu curry.